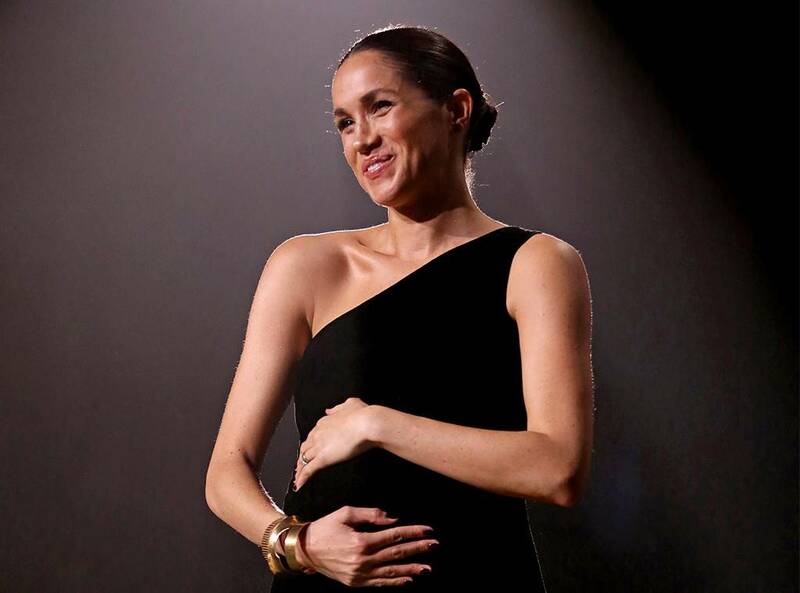 Markle’s Surprise Visit At The 2018 British Fashion Awards | Meghan in a bespoke Givenchy gown. The pregnant Duchess of Sussex took the attendees by surprise when she appeared as a special guest to present Givenchy’s Clare Waight Keller with the British Womenswear Designer of the Year award. Meghan is a long patron of the brand and also wore their custom creation on her wedding day. She was married to Prince Harry on May 19, 2018. The 2018 British Fashion Awards was marked by the presence of 37-year-old Markle wearing a bespoke Givenchy gown, a gold bangle bracelet by Pippa Small ($430) and synchronizing strappy heels by Tamara Mellon ($550). As is predictable from Meghan’s typical beauty routine, she let her naturally spectacular features shine through with negligible makeup and a sleek low bun. After bestowing Keller with the coveted award at Royal Albert Hall in London, the designer thanked Meghan for enlisting her to bring her dream wedding gown to life. Check out more star-studded moments from the red carpet at the Royal Albert Hall in London from the 2018 British Fashion Awards right here.